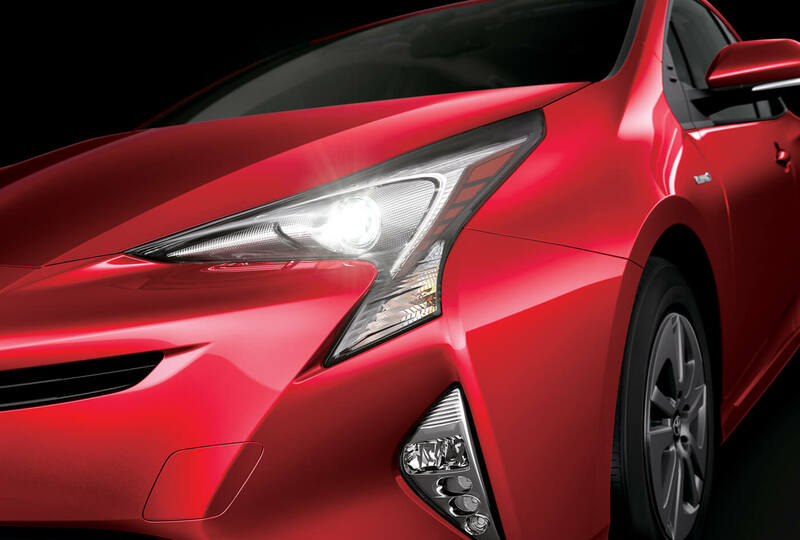 The modern LED headlights improve night visibility and load the Prius with an impressive feel. 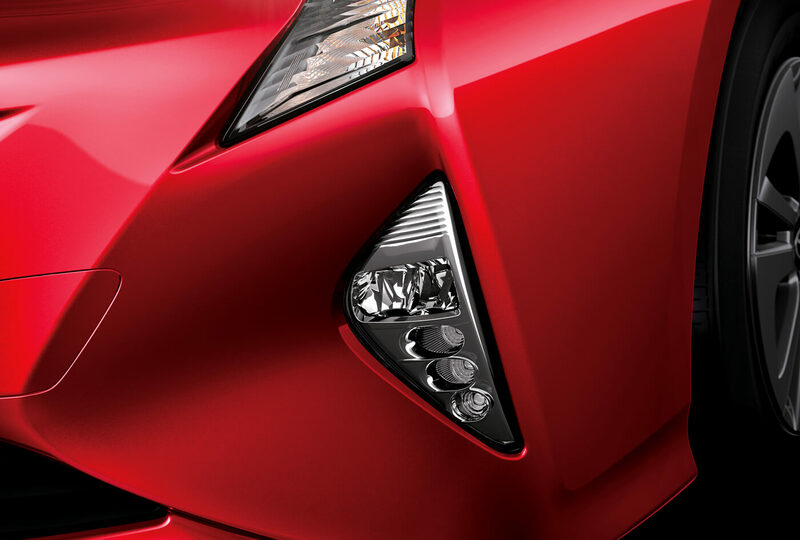 Front fog lamps and daytime running lights are cleverly integrated into the lower grille for an unmistakable sporty look. Trapezoidal LED rear Combination lamps not only provide excellent visibility in low light conditions, and they also consume less power. 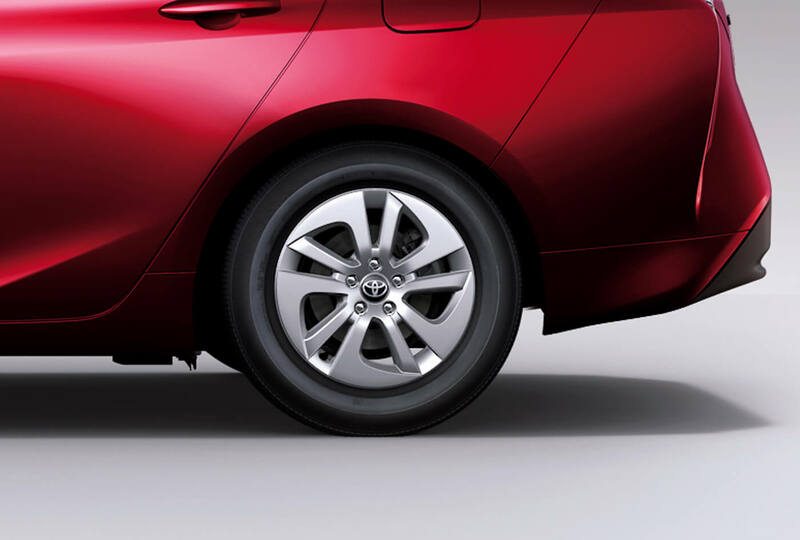 The wedge-shaped design of the super lightweight 15” aluminum wheels delivers superb aerodynamic performance. 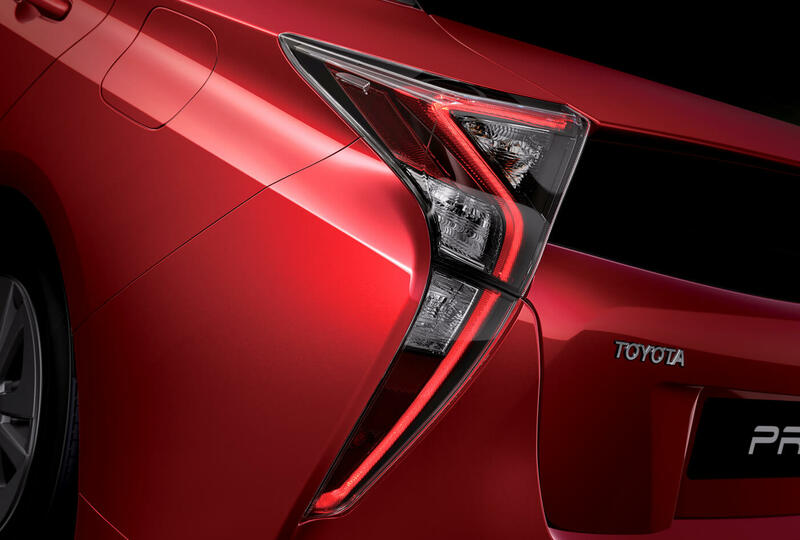 LED rear fog lamps are distinctly positioned for added visibility and unsurpassed safety. The electronic key lets you lock and unlock any door by simply gripping the door handle. 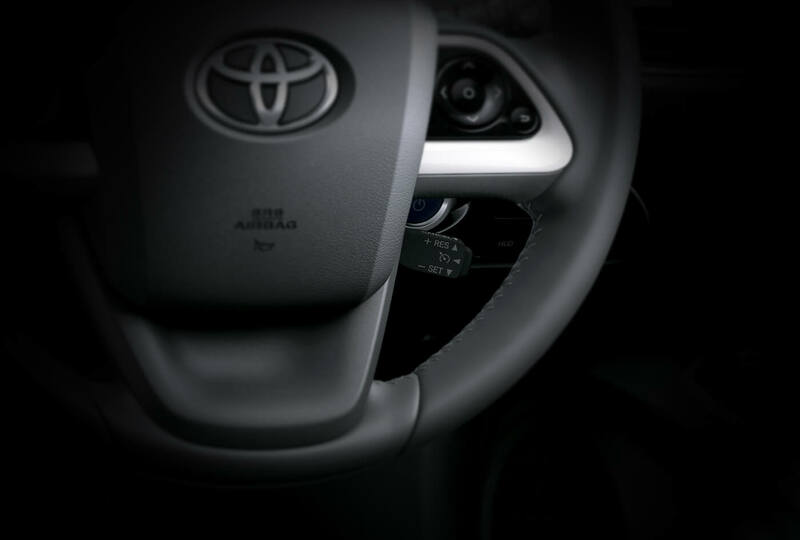 To start the engine, simply push down on the brake pedal and activate the start button. 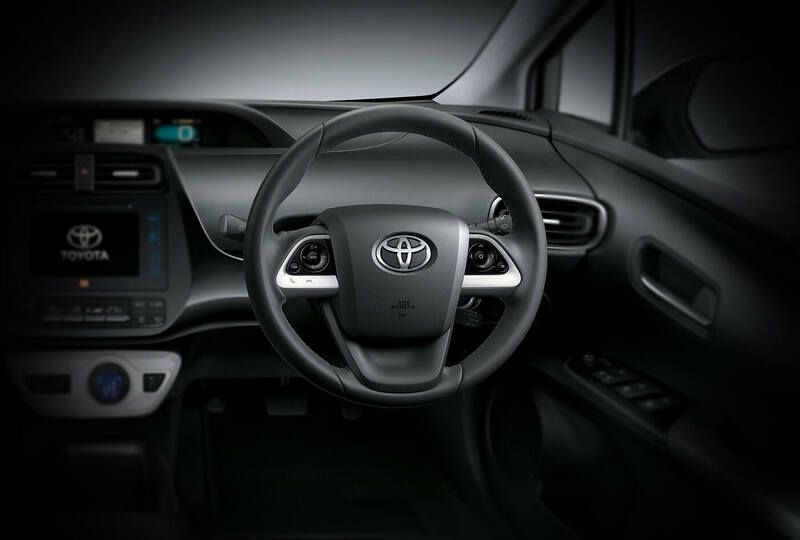 Multi-functional switches at the steering wheel mean you never have to take your hands off the steering wheel. 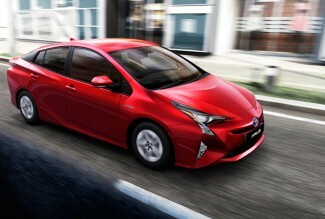 Connect a portable music device and enjoy your favorite music over the Prius’ speakers. Plus, a power outlet lets you charge your electronic devices. 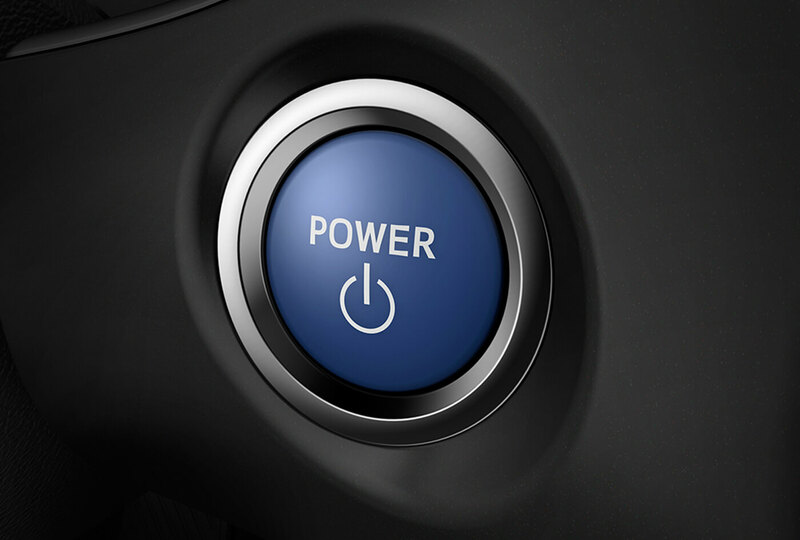 The power driving mode with an adaptive system gives you a sporty acceleration/deceleration feel. 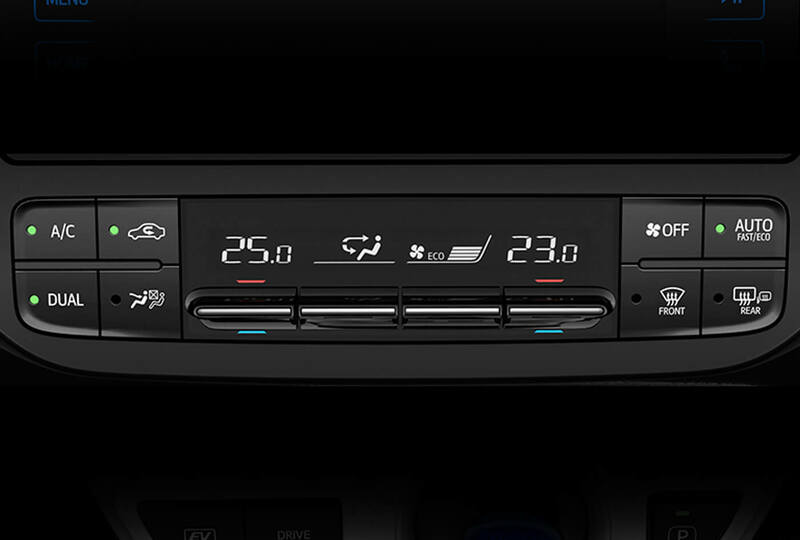 The smart aircon system is an intelligent climate control system which regulates the temperature to provide optimum comfort to passengers while driving. 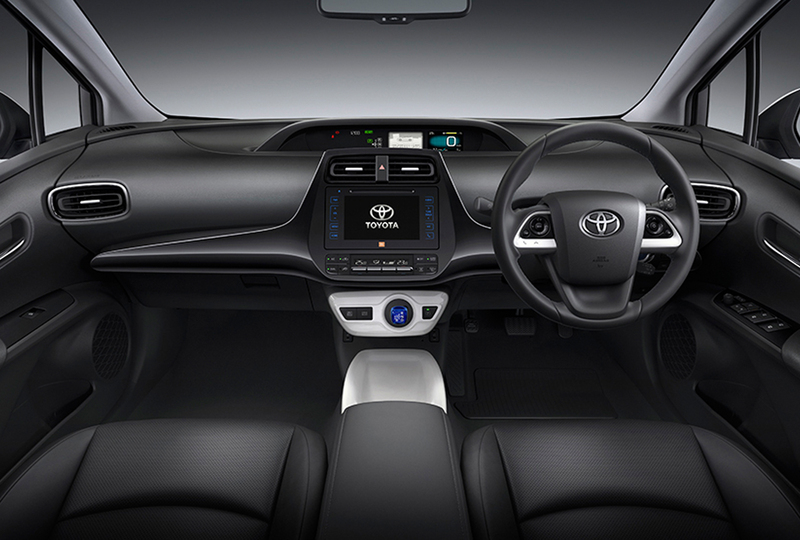 Toyota’s exclusive touch technology is a sleek tablet-style 7″ touchscreen system. 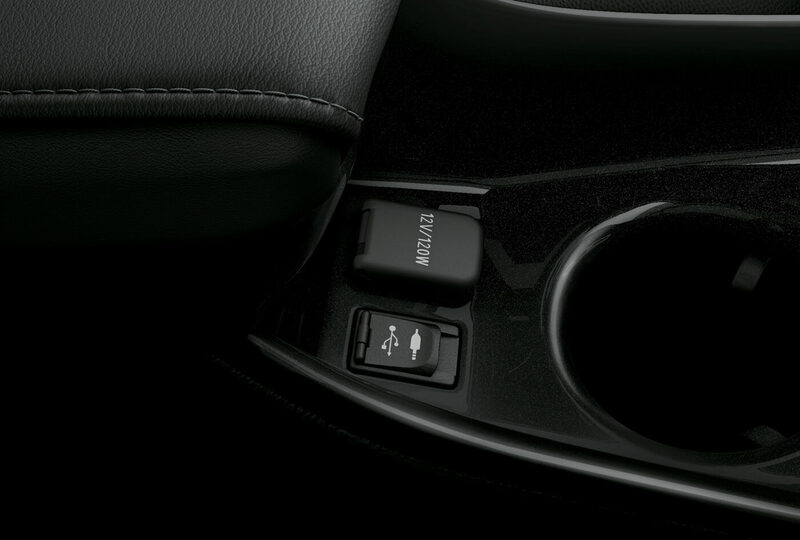 With drag & flick controls that offers an advanced audio system fully supported with smartphones. 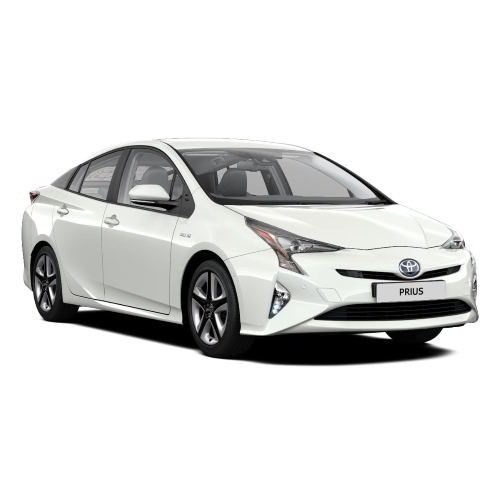 A range of advanced technologies including the atkinson-cycle, a cooled EGR (exhaust gas recirculation) system, and VVT-i enhances fuel efficiency while complying with strict emissions regulations. This compact lightweight unit optimizes control of DC current from the battery, and AC current from driving the motor and generator, and boosts battery voltage up to a maximum of 600v. Its Reduced size lightweight, increased output density, contribute to more dynamic performance. 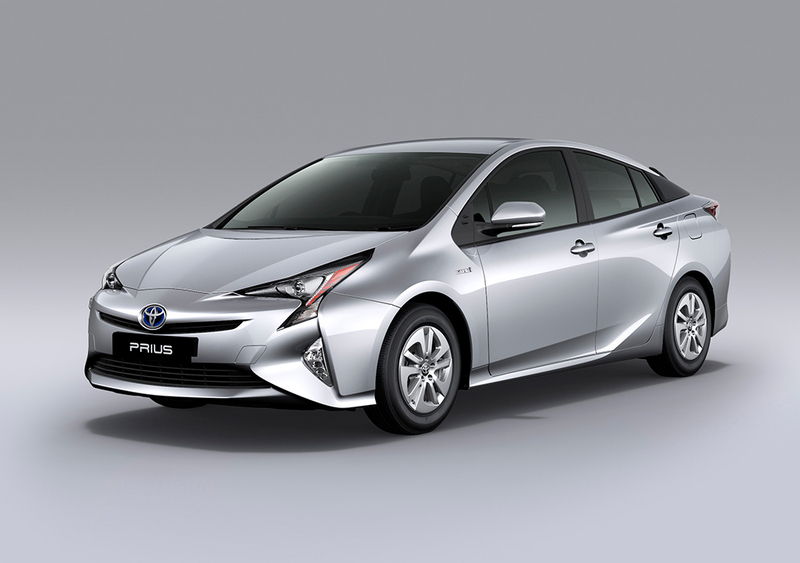 Integrated with the engine, motor and generator, this functions as an electrically controlled continuously variable transmission. 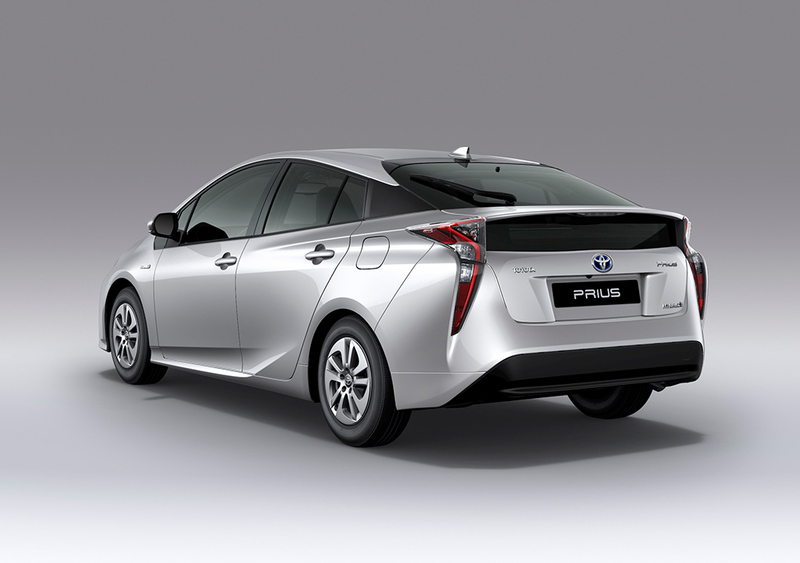 Installed under the rear seats, this small high-efficiency battery supplies optimum electricity to the motor. 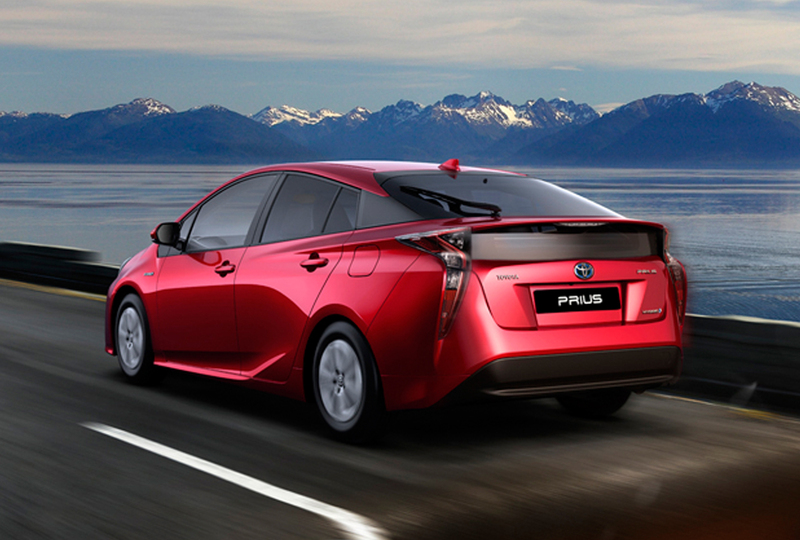 The engine automatically cuts out when the car is stopped in traffic. Even while driving, the engine will cut out in response to driving conditions. At start-up, the car drives only with the battery operated motor. The Prius precisely integrates and controls engine and motor operation to realize optimum fuel efficiency and low emissions. 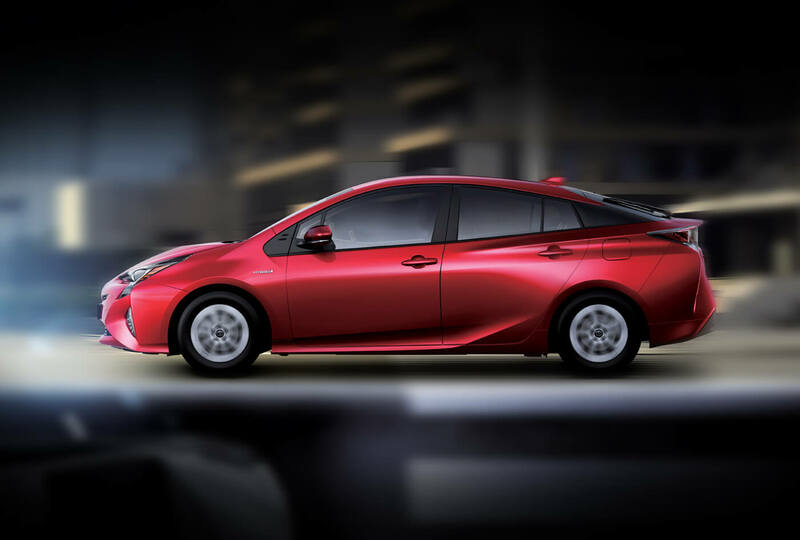 This state-of-the-art system coordinates control with the lightweight ECB (electrically controlled brake system) to harness the kinetic energy generated by braking to charge the nickel-metal hydride battery. 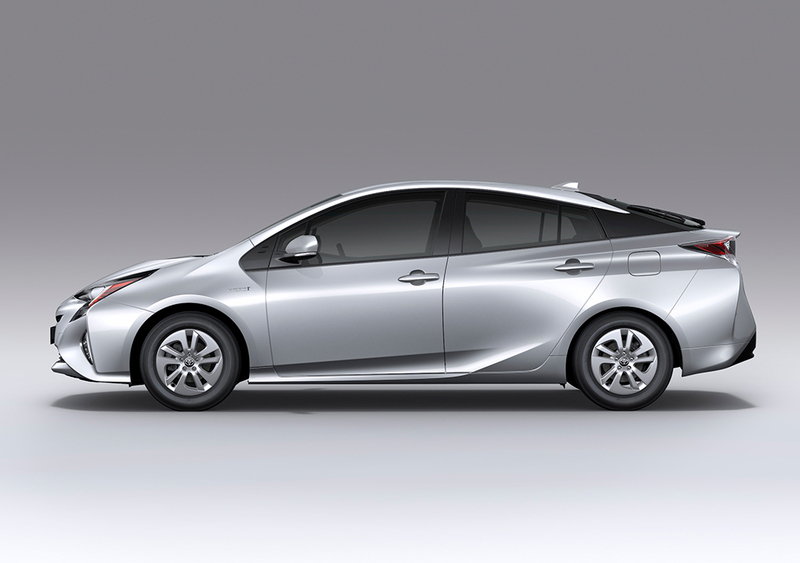 Lightweight double wishbone suspension on the rear contributes to impressive handling, stability and ride comfort. 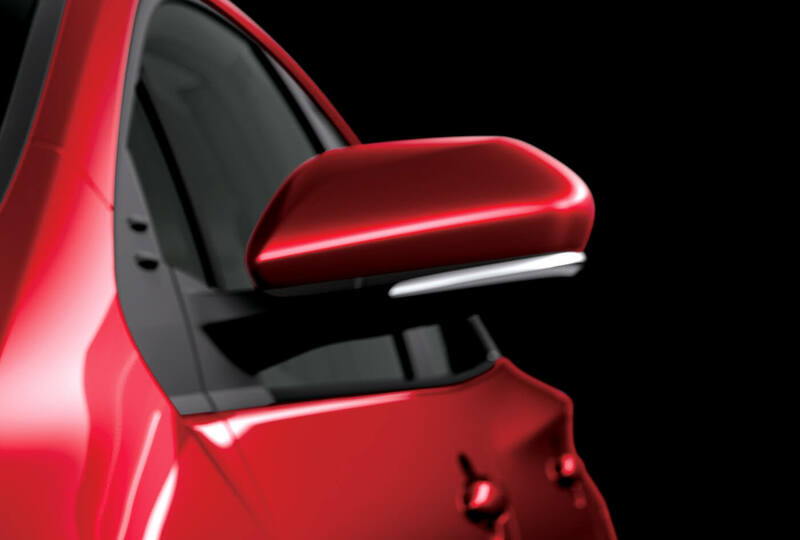 The shape of the upper body, a smooth underfloor and the integration of spats at the front tires contribute to reduced air resistance and exceptional aerodynamics. 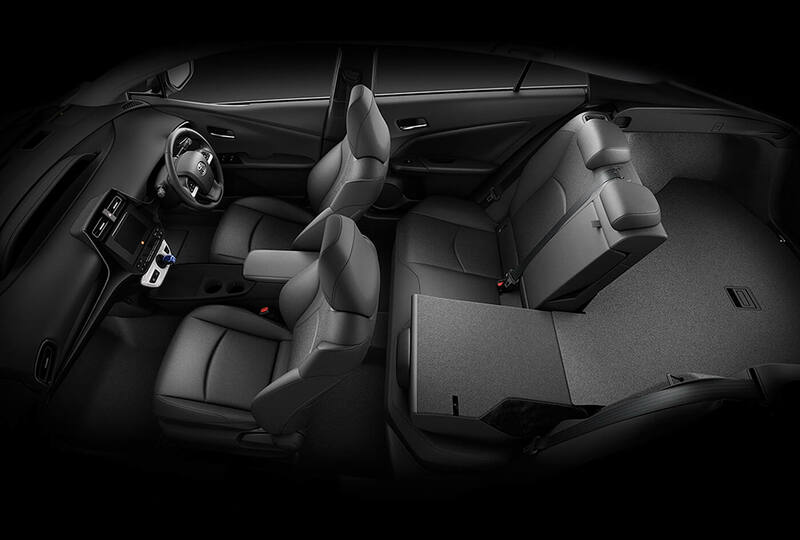 SRS airbags all-around protection upon collision. 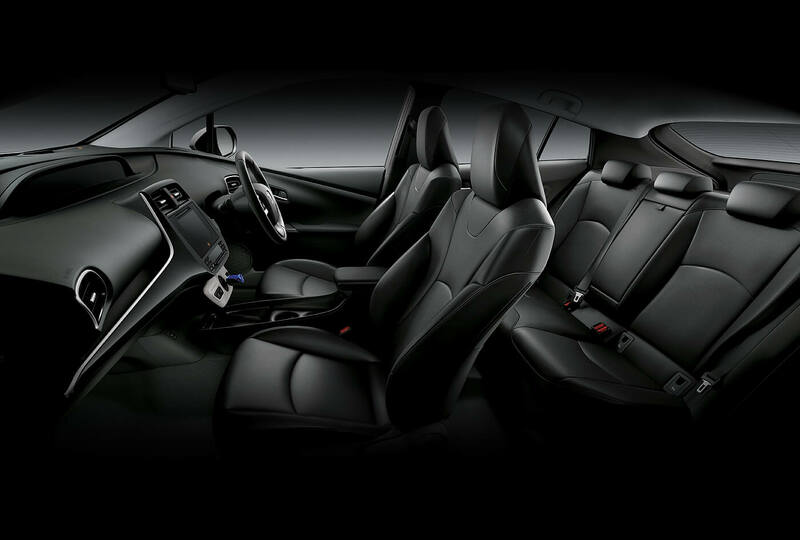 The SRS airbags deploy in milliseconds to minimize impact. 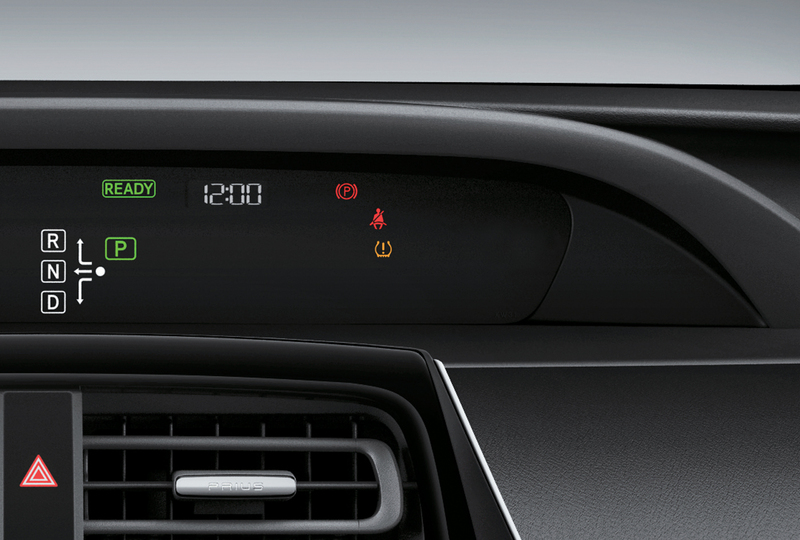 Anti-lock braking system (ABS) cleverly controls the car when brakes are applied. ABS helps to prevent the wheels from locking up when braking on slippery roads, or during sudden braking, while the EBD optimizes the distribution of braking force in various driving conditions. 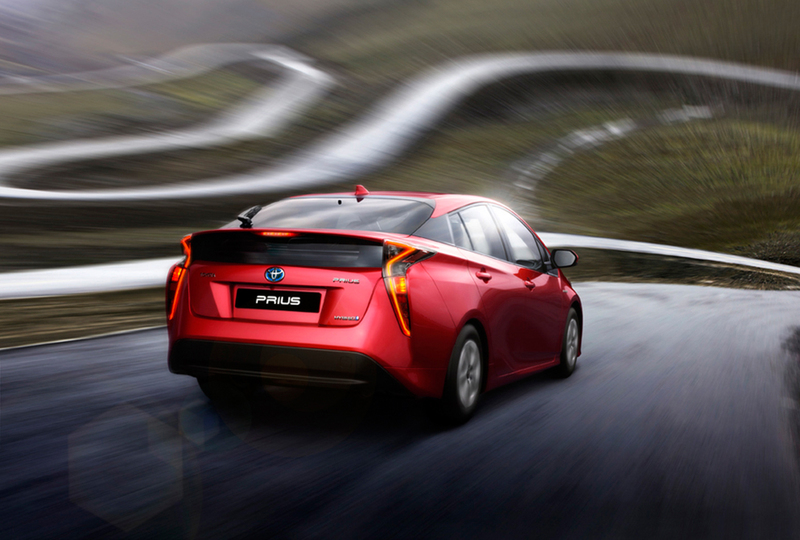 Vehicle stability control (VSC) keeps the vehicle on track. The reverse camera is integrated into the rear side of the vehicle. It helps in smooth reversing especially when parking at a 90-degree angle or when parking parallel.